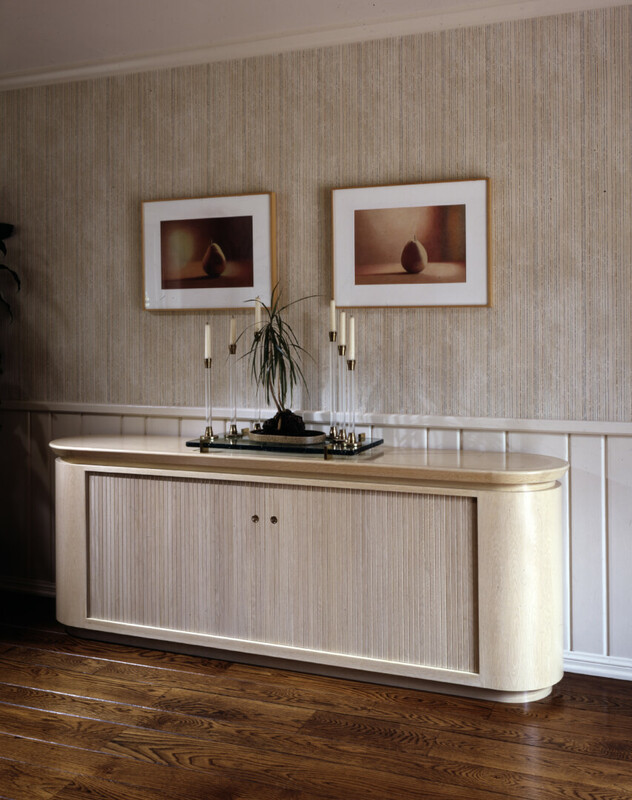 This bleached white oak buffet was designed to match the style and finish of an existing dining table that the interior design firm had chosen for their clients. 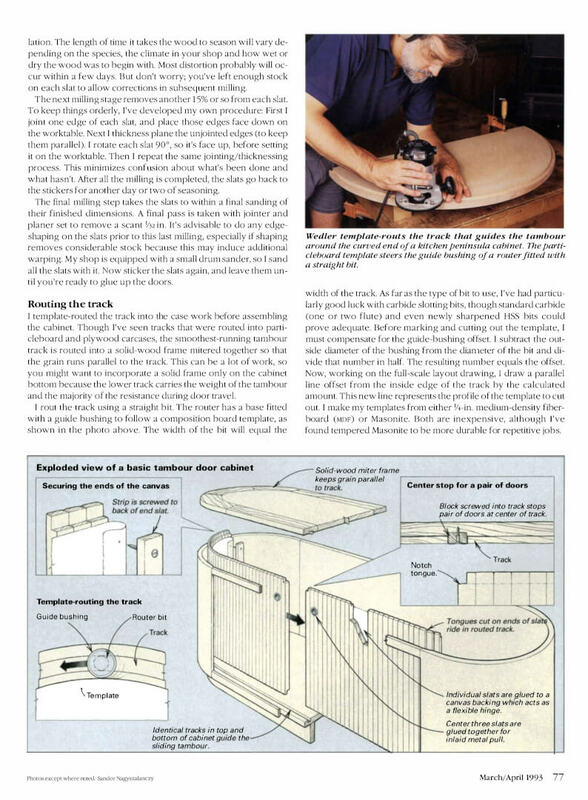 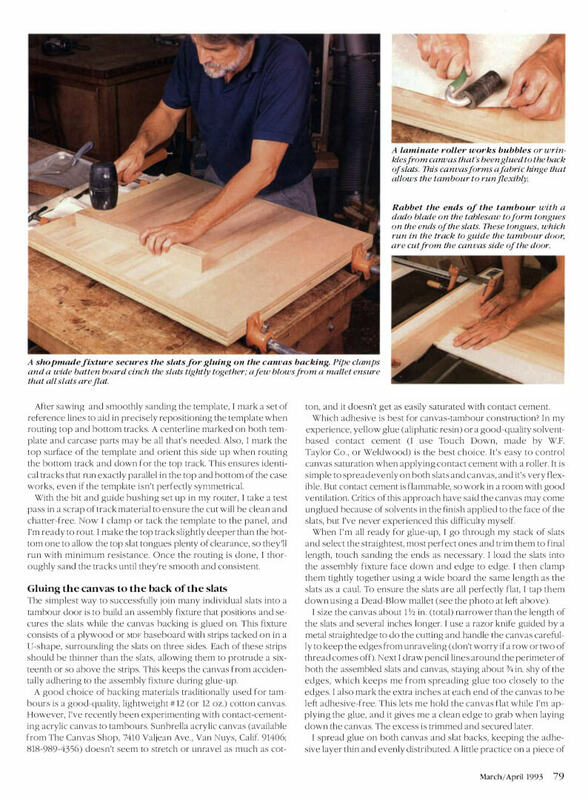 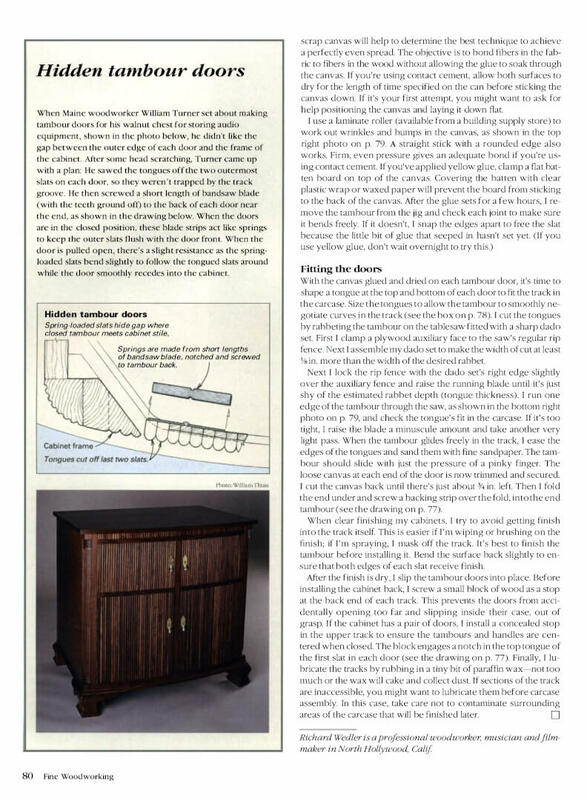 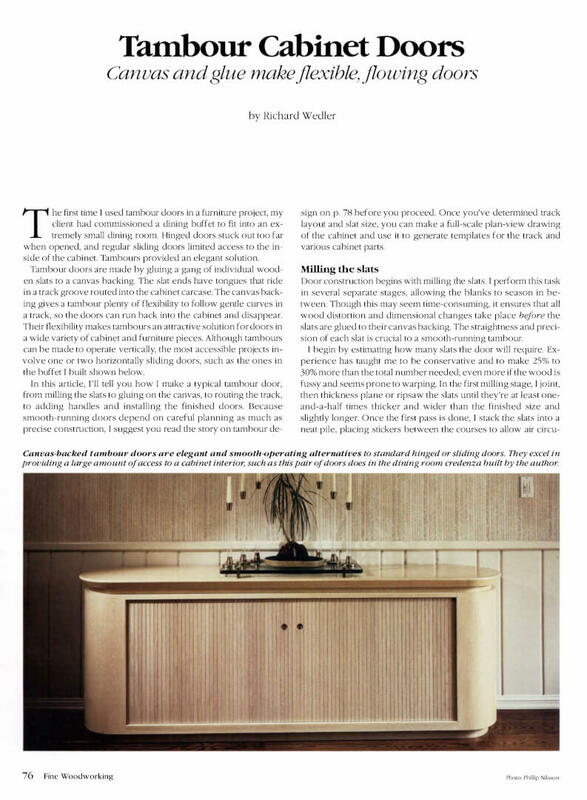 The tambour doors were selected to eliminate the need for door clearance in the narrow dining room and later inspired an article on canvas-backed tambour door making that published in Fine Woodworking magazine in 1993, a few years after this project was completed. 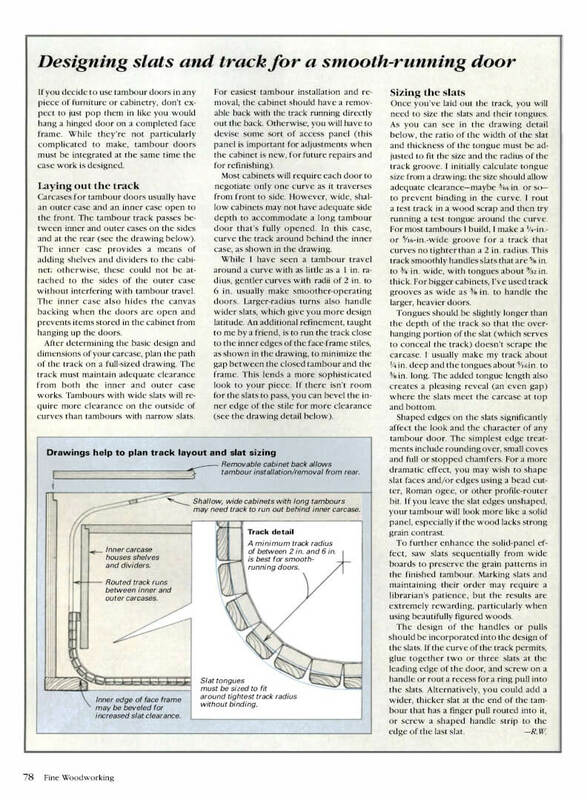 (You can see the article below).